For the briefest of moments today, a few lucky folks caught a premature glimpse of something major: The Verge’s 30-second Super Bowl XLIX ad. The page was quickly taken down, but not before we here at FishbowlNY read the “DNP” headline, the “TKTK” placeholder text and enjoyed the embedded video. The Verge TV ad is *almost* as impressive as the idea that parent Vox Media can afford the very large outlay required for a 30-second Super Bowl XLIX spot. 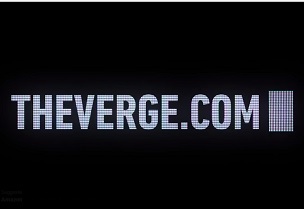 A few Twitter users thought perhaps The Verge had posted the “DNP” page on viral purpose. But as the quick removal confirms, the bylined item by site EIC Nilay Patel was not meant to see the light of January 20, noontime day. As Michael Sebastian at Ad Age and our colleague Mona Zhang at Adweek both point out, The Verge ad could be a regional Super Bowl buy rather than a national one. If regional, the 30-second spot will mean a much smaller outlay of cash for Vox Media. But as Savannah, Georgia personal injury lawyer Jamie Casino demonstrated in 2014, regional can still have a broad national impact. *Sebastian has updated his item: it is indeed a regional spot. And very regional at that: Helena, Montana!